I’ve known the Groom Kev for many years, being my neighbour and all. Getting booked to photograph someone you know’s Wedding is always a biggie. Combine that with the fact that Kev runs his own Martial Arts academy and you’ve added a whole new angle to making sure you do a good job, haha. Sam and Kev chose to get married at Pageant House, the Warwick registry office, with The Limes Country Lodge Hotel being the setting for their reception. For an early February Wedding you couldn’t have asked for better weather. Although it was cold, the sun was shining and the Newlyweds worked hard to get the pictures they were after. Some nice, soft, crisp afternoon light setting the tone for a few formal shots in the lush grounds of the Limes. 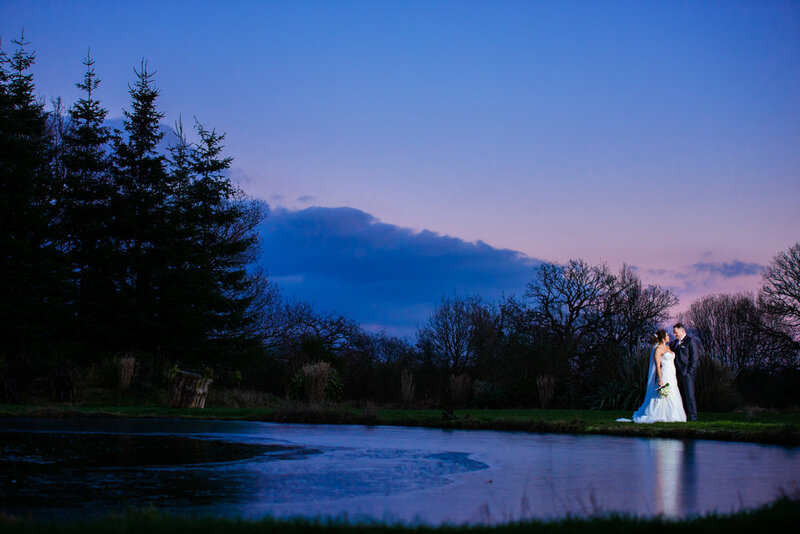 Finishing off with some beautifully lit couple portraits down by the pond. Thaitus, Sam and Kev’s three year old son, was a legend all day, despite nearly taking my head off with the Pinata stick on the evening. That’s what you get for getting too close to the action but I wouldn’t miss it for the world! Photographing young children at a wedding can sometimes be difficult and the fact I have four, yes four, of my own always helps. Making sure the girls looked fabulous was Keira Jay MUA and the lovely floral bouqets and buttonholes were provided by Your Big Day Events. I’m so happy Kev and Sam got they day they wanted! What an awesome family and I wish them all the best for the future! Here’s a few images from the big day ……..
Checkout the full gallery in the client area!